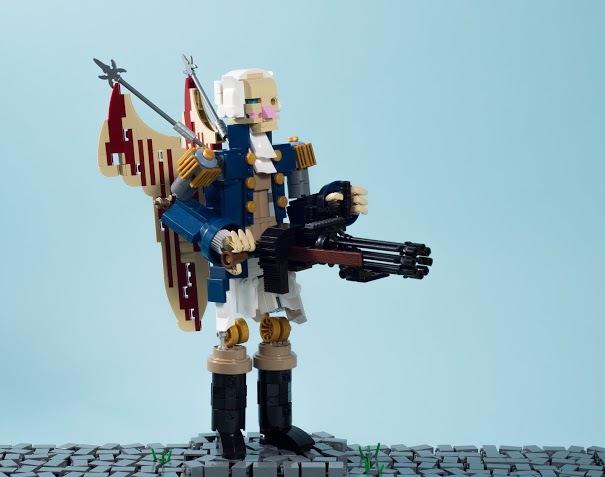 LEGO builder Carl Merriam has reproduced Bioshock: Infinite's Patriot enemy for an online LEGO competition. We wouldn't be breaking any new ground by saying that Bioshock: Infinite was probably one of 2013's best games and easily one of the most interesting releases of the past generation. The world of Columbia and the player's journey through it was frequently fascinating and earned the game a devoted fanbase that has, in turn, produced some equally interesting tributes. 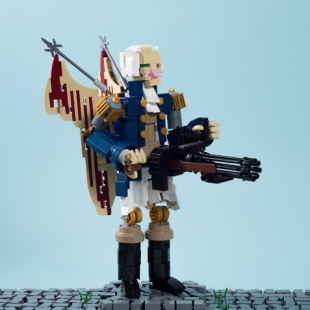 Carl Merriam, for instance, recently used his skills as a LEGO builder to create a custom version of the game's Patriot enemy. Merriam's model was built as a part of Iron Builder, a competition sponsored by Flickr's Builder's Lounge group. The competition pit participating builders against each other, giving them a month to produce "as many high end builds as possible" which are then submitted to a panel of judges. The catch is that every build was required to integrate a "secret ingredient" piece revealed to the builders at the beginning of the month. 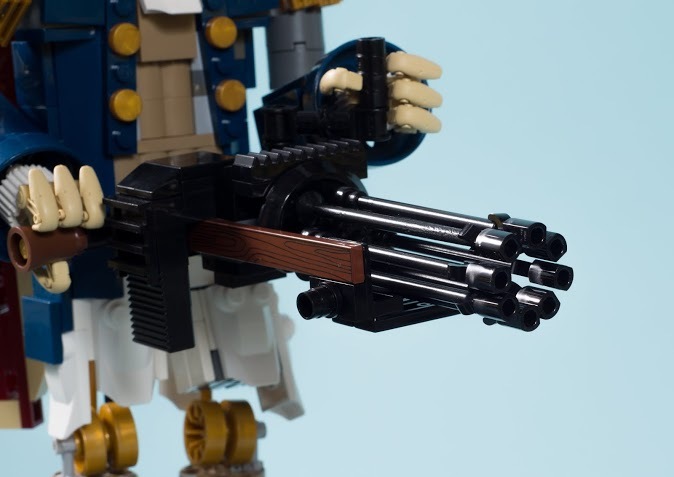 According to Merriam, his resulting Patriot model wound up using a total of about 500 pieces including parts taken from a variety of sources. 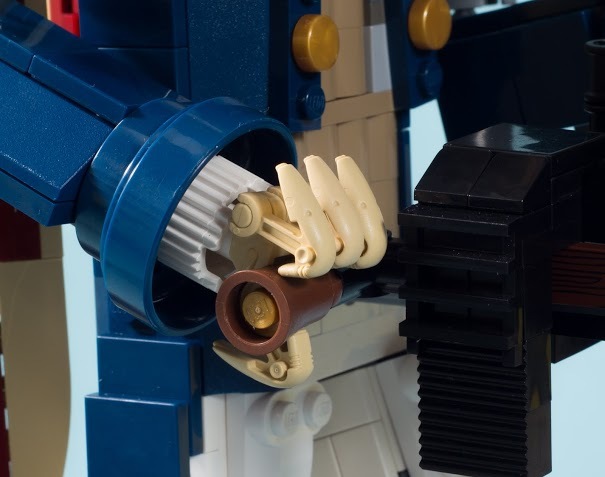 "I used the heads from battle droid minifigures for fingers and a section of palm tree trunk for the handle," he said. "The knee joints are Batmobile wheels...[and] the flagpoles are spears from a castle set." The model overall took Merriam "about 6 hours to build." 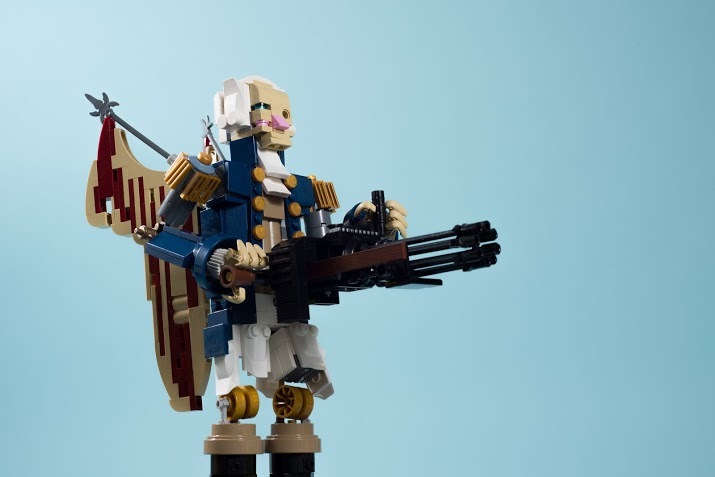 The reason he opted to invest that time in the Patriot boils down to a simple love of the game "Bioshock: Infinite is one of the only video game that I actually finished in the past 5 years," he said. 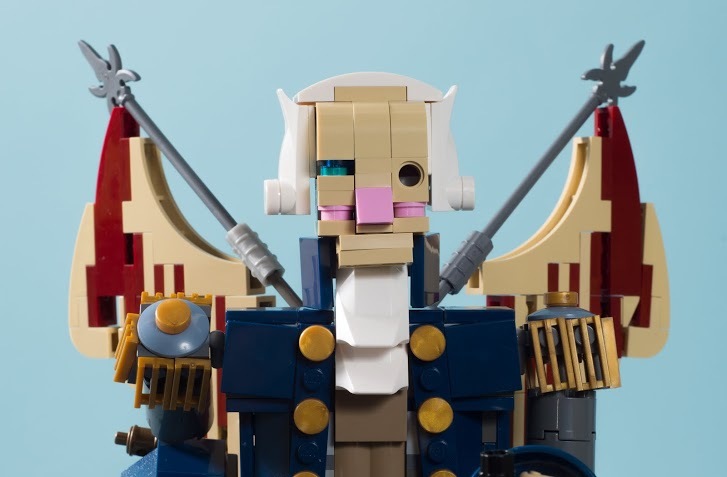 "I would play more, but LEGO takes up a lot of my time." To learn more about Merriam's work head to his website. 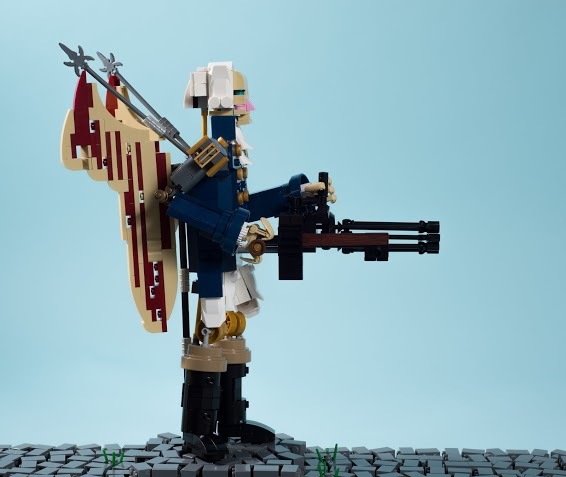 The rest of his Iron Builder projects can also be found out at Flickr.